You searched for ESL programs in Minnesota. 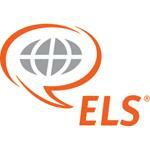 Below you will find a listing of all ESL programs in Minnesota - click on any program to view more information, or refine your search within Minnesota by city. Most states have many English as a Second Language programs, with schools and locations offering ESL programs and locations to suit every need. Please use the form below to refine your search even further and find an ESL program in Minnesota that is right for you! *_Looking for an experienced, results-oriented Test Prep Tutor? You've come to the right place!_* Recognized by a premier tutoring company as a _TOP TUTOR nationwide_ and master's degree holder with a 3.94 GPA, I am able and ready to help you with your learning needs.